Because, one size does not fit all. 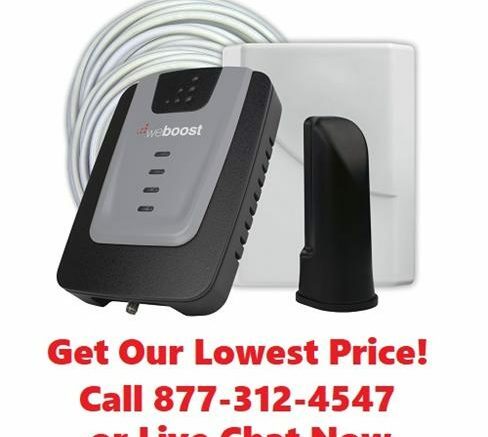 When you buy a cellular signal booster like the weBoost Home 3G, it’s going to make a big difference. You could go from one bar to five bars almost instantly. But of course, a lot of your success comes from choosing the right booster to begin with. (That’s why we have a free service where we’ll recommend the right one for you.) But why can’t you just buy the exact parts you need if you know what they are? Until 2014, you could. You could buy the booster, the cable, the antennas, whatever you needed all separately so that it was easy to come up with a customized solution that was perfect for you. Now, that’s almost impossible unless you hire a certified installer. 2014 was a big year for the cellular booster industry. Before then, the major carriers like AT&T all said that cell boosters voided their phones’ warranties and maintained that cellular signal boosters would damage their networks. That may have been true of the very earliest boosters but even by 2014 cell boosters were smart enough to scale themselves back if they interfered with cell towers. By 2014, it was time for a change. In 2013 actually, booster makers met with carriers and hammered out a compromise. weBoost’s parent company, Wilson Electronics, was a big part of that. In this compromise, carriers would stop claiming that cell boosters broke their towers, and pre-qualify all cell booster kits so that you wouldn’t have to go through a long approval process to get a booster (you still have to tell your carrier that you have one, though.) In exchange, the cell booster manufacturers agreed that all boosters would be sold as kits so that they could be pre-tested, and that only certified installers could buy “loose” parts. The compromise went to the FCC, was approved and went into account in the early part of 2014. It took a little while for people to figure out the new rules, but the cell booster industry is bigger than ever, and it’s partly because most people don’t want to have to pick between different antennas and cables. They just want what works.